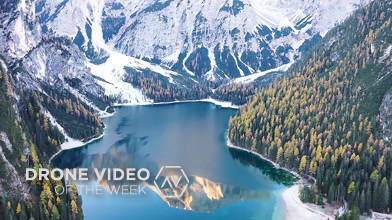 Description: Congratulations to our Drone Video of the Week Episode 5 winner Muhamad AbuShakra with his video Breathtaking Shots of the Alps: 2018. Content creator Muhamad AbuShakra moved to Germany to study architecture 10 years ago and fell in love with the Bavarian countryside. He says he enjoys discovering new places in the German, Austrian, Italian and Swiss Alps. Just 5 months ago he decided to get a DJI Mavic 2 Pro to document his adventures and in that time he has completed 7 films. This award-winning film was a collection of his top breathtaking views of the Alps in autumn and winter. AbuShakra says he’s happiest in the Alps and his goal is to keep discovering new places in the mountains. His winning video is part of our The Best Of The Alps Mountains Region By Drone collection. For getting the most votes and winning drone video of the week, Muhamad AbuShakra gets $250 and is now entered into our Drone Video of the Month contest. See all five Drone Video of the Week Ep 5 nominees HERE!